After million years I am here with new recipe. Sorry for inconvenience, I promise that I will try to be regular from now on. Shab-E-Barat is coming soon and having halua/ halwa/ halva is a very common tradition in this festival. So I am here with Jackfruit Seeds Fudge / Jackfruit Seeds Halwa / Kathaler Bichir Halua / কাঁঠালের বিচির হালুয়া recipe which is not that common but it has unique taste with lots food value. And the best part is unlike other halua recipe, it has brief cooking time. Though I wish if I could say same for preparation time (As you know that cleaning jackfruit seed is bit time consuming). If you follow my tips, you can do it easily with less. For this recipe I try to maintain that less is more theory. 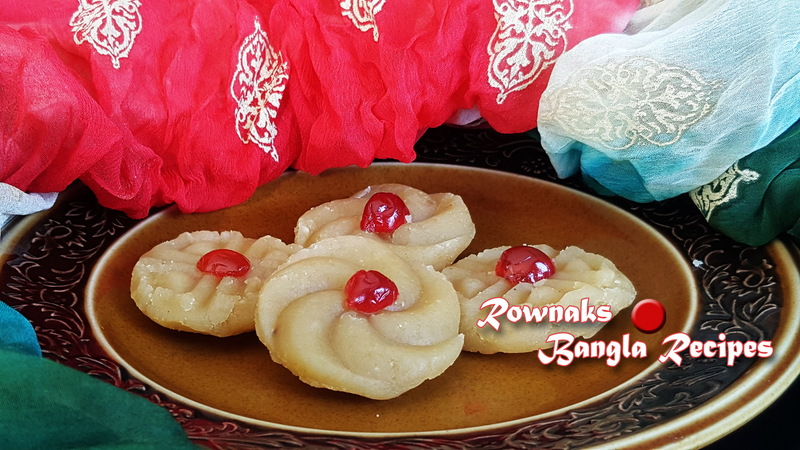 Some of us love to add more spices and mawa, coconut paste, condensed milk, milk powder etc. But my point is when simple jackfruit seed is so tasty why you need to put anything else. 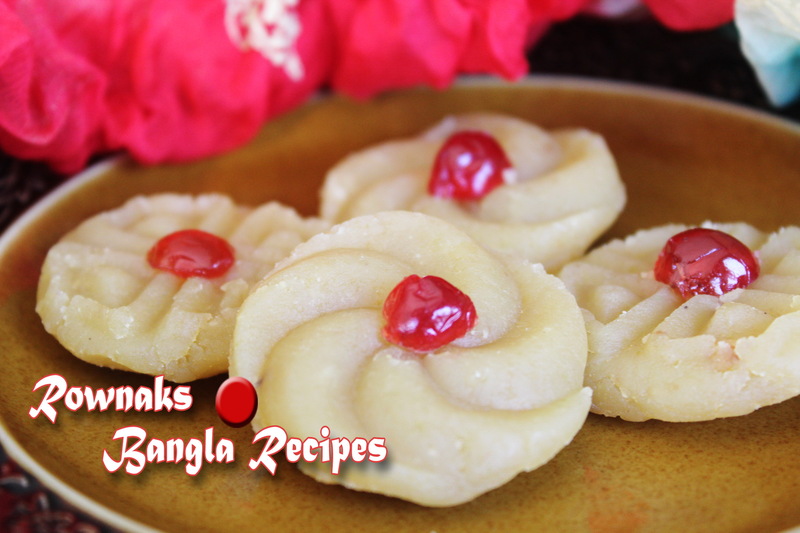 Hope you will like this simple recipe. N.B. Thanks a lot Shanta Auntee and Shumi for JackFruit seeds. 2. After removing two layers of skin wash it well and boil it with water. 3. When seeds are cooked properly, remove from and strain water. 4. Now make paste from it without using any water. 5. Heat ghee in a pan and temper cardamom pods. Add sugar and jackfruit seed paste. 6. Stir it about 2-3 minutes or until it forms like dough and starts leaving the pan. 7. 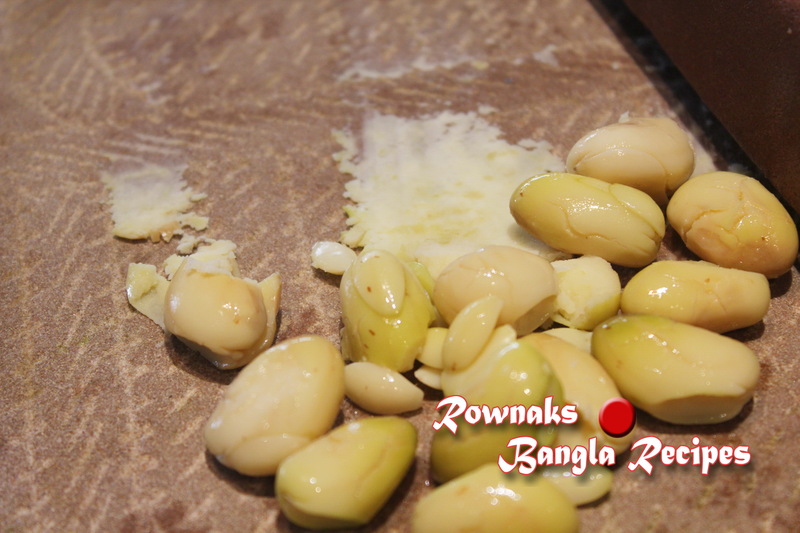 Remove from pan and garnish Jackfruit Seeds Fudge / Jackfruit Seeds Halwa / Kathaler Bichir Halua with Nuts/dry fruit .